Two-layer cushion provides optimal comfort and excellent stability. Headgear release clips allow easy removal of mask and eliminate the need for regular readjustment. Forehead support provides excellent fit and stability, can be easily adjusted while wearing the mask. Cushion clip ensures that the cushion has maximum stability. 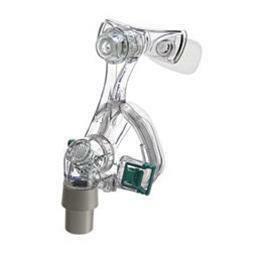 Quick Release Swivel allows easy removal of the air tubing from the mask. Super quiet air vent minimizes noise and enables efficient CO2 washout.